NetEase, the Chinese developer of the popular mobile games 'Rules of Survival' and 'Knives Out', has responded to PUBG's copyright infringement claims. The company asked the California federal court to dismiss PUBG's lawsuit, describing it as an attempt to monopolize the popular “battle royale” genre. When PlayerUnknown’s Battlegrounds (PUBG) was first released last year, it became an instant hit. The general theme of PUBG is now used by many games, which is a thorn in the side of the developer. To protect its financial interests, the company, therefore, decided to take the developer of two alleged spinoffs to court. In April, PUBG filed a lawsuit against NetEase, the makers of ‘Rules of Survival’ and ‘Knives Out’, accusing it of copyright infringement. A 155-page complaint documented a long summary of elements that PUBG believes are infringing on its copyrighted works. This includes buildings, landscapes, vehicles, weapons, clothing, the pre-play area, the shrinking gameplay area, and even the iconic “Winner Winner Chicken Dinner” salute. NetEase clearly disagrees with these accusations. In a new filing this week, the company asks the court to dismiss the entire case. It refutes PUBG’s accusations and stresses that “ideas” and “gameplay mechanics” have no copyright protection. 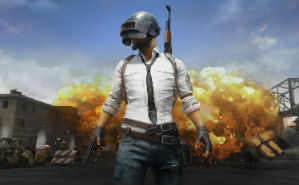 “This litigation is a shameless attempt by the PUBG Plaintiffs to monopolize the “battle royale” genre of video games and inhibit legitimate competition,” NetEase writes. NetEase admits that its games fall into the same genre and share several similarities. However, the idea of displaying a “health bar” and other basic elements is not copyright infringement, the company argues. “The idea of a ‘health’ status bar, as well as energy ‘boosts,’ and the ability of human characters to ‘stand, walk, run, take a prone position, crawl in a prone position or take a kneeling position’ in a combat situation, are all simply mechanics that flow from the idea of forcing players to kill each other,” the company notes. PUBG itself has admittedly copied several real-world objects such as guns. In order to argue that NetEase expressions of these are virtually identical, and thus infringing, these real-world similarities have to be filtered out. According to NetEase, there’s no real claim left after that. In addition, NetEase also refuted PUBG’s claim to the iconic “Winner winner chicken dinner” salute, which is displayed to the winner of the game. Citing jurisprudence, it stresses that short phrases are not protectable elements, even when they are unique. “The short phrase ‘Winner winner chicken dinner’ is therefore unprotectable,” NetEase argues. Based on these and other arguments, NetEase concludes that PUBG’s copyright infringement, Lanham Act infringement, and unfair competition claims fall flat. The case should, therefore, be dismissed in its entirety, it notes. A copy of NetEase’s motion to dismiss is available here (pdf).